Batteries are shipped shipped charged and ready to install. . The high temperature battery will actually increase its run time when put in warmer environments. The battery exceeds its quoted 9AH capacity by about 4% when over 100+ degrees. This will actually give you a longer run time when placed in warmer conditions. 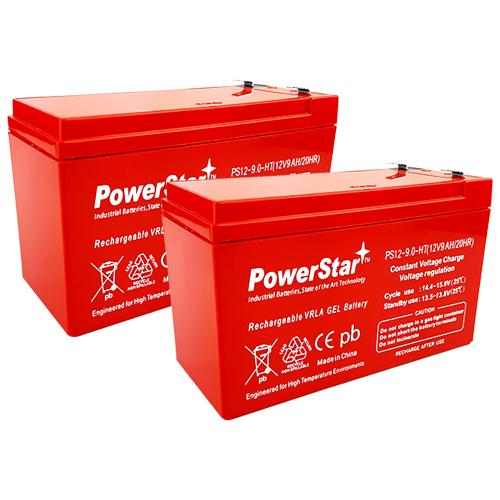 These PS12-9-HT batteries also have deep discharge characteristics, meaning that the devices can drain these batteries down to nothing left, and there will not be any continual loss of power. The batteries will charge right back up to their optimal charge levels. 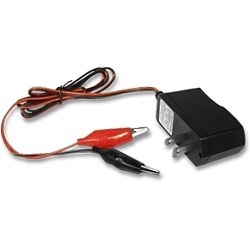 The batteries are extremely rugged and durable, maintaining their charge much better in the high temperature range.. 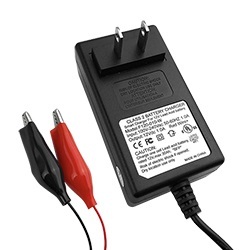 I purchased 10 of these guys to replace batteries in a UPS module. they have been in service for a month and they are working great! thank you big time battery for the awesome customer service! i called originally to find replacements but the technician mentioned these and i was interested. Price difference was not that much and i wanted to take a chance and i am glad i did. i can see a small performance increase when these heat up due to a high load when the USP is working. I would Definitely recommend to others. Than you again big time battery! If i need anymore i know who to call!!!!!!!!!!!! !